The Wells hotels listed below are either in the town or we have given a rough guide as to how far they are from Wells. We hope you enjoy your stay and find your ideal accommodation. Bed and breakfast near Wells. Situated between Wells and Bath. Self catering either in luxury apartments, or whole house bookings for large groups, reunions etc. Bed and breakfast also available..
Hotel near Wells. Cameley is about 9 miles north of Wells. Cameley Lodge set in 60 acres of beautiful countryside, looking out over it's own lake, is the ideal location to make your base when visiting the West Country. We now have nine individually designed ensuite rooms. Breakfast is served either in the dining room or on the terrace overlooking the lake. Lunch and dinner are always available. We can arrange lessons in fly fishing or clay pigeon shooting to a full round on a local golf course.. This restored 15th century coaching inn is situated in the heart of the small medieval city of Wells, by the cathedral green, just metres away from the ancient marketplace. A small Victorian Gothic mansion, one mile from Wells Cathedral. A warm and friendly welcome awaits every guest in this family-run home. 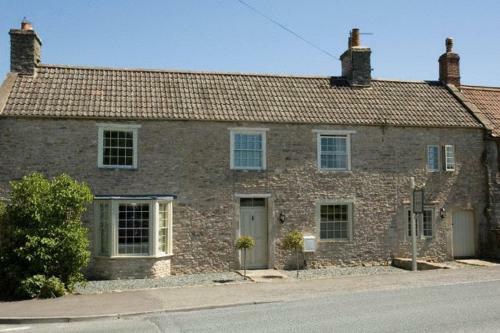 Charming and rustic, The Post House is a Grade II Listed building with an elegant, stylish interior, perfectly situated just 5 miles (8 km) from Wells. 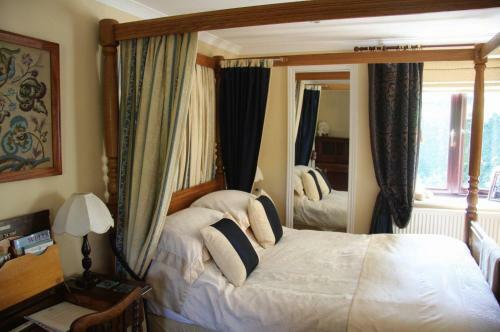 Situated in England's smallest cathedral city, The Swan provides excellent accommodation and hotel facilities. 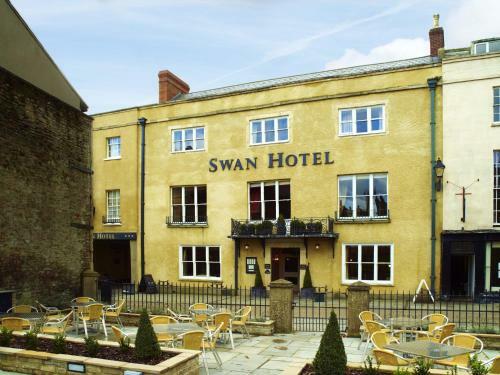 The Swan makes an ideal base for exploring Somerset. Visit Bath, Bristol, Wookey Hole Caves, Glastonbury Abbey and historic houses. In a quiet, central location in Wells, these beautiful self-contained, fully equipped apartments are ideally placed for the beautiful county of Somerset. Owned by the Swan Hotel, the modern apartments at Swan Mews are a short stroll away. This Victorian mansion has an elegant, theatrical decor and is minutes from Wells. 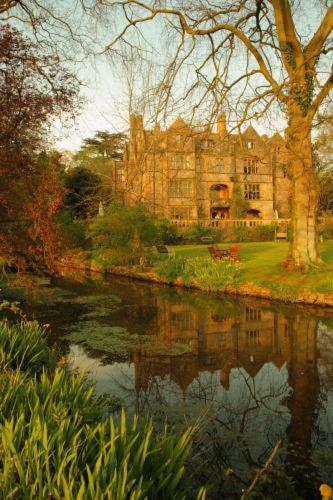 The grand, Jacobean-style building is set in 18 acres of private grounds. This hotel is next to Wookey Hole Caves, 2 miles from the medieval town of Wells. It offers modern rooms with free Wi-Fi, a restaurant and free parking. 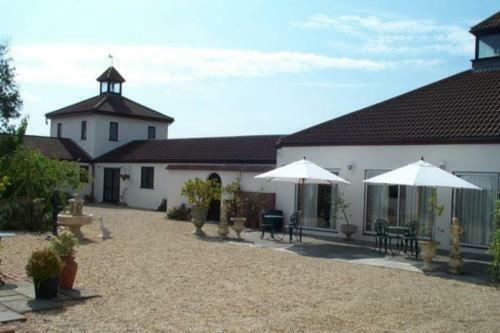 Set in tranquil countryside, this small, charming hotel has a Mediterranean ambiance and boasts spectacular open views across to the Mendip Hills and the famous Glastonbury Tor. Overlooking Wells Cathedral and the Vale of Avalon, Stoberry House is surrounded by countryside and just 15 minutes' walk from the town centre. The luxurious rooms feature bathrobes and slippers. For hotels accommodation in other areas near to Wells Somerset see Cheddar hotels & Shepton Mallet hotels.